Trends change every season – from colours, to styles to what not! 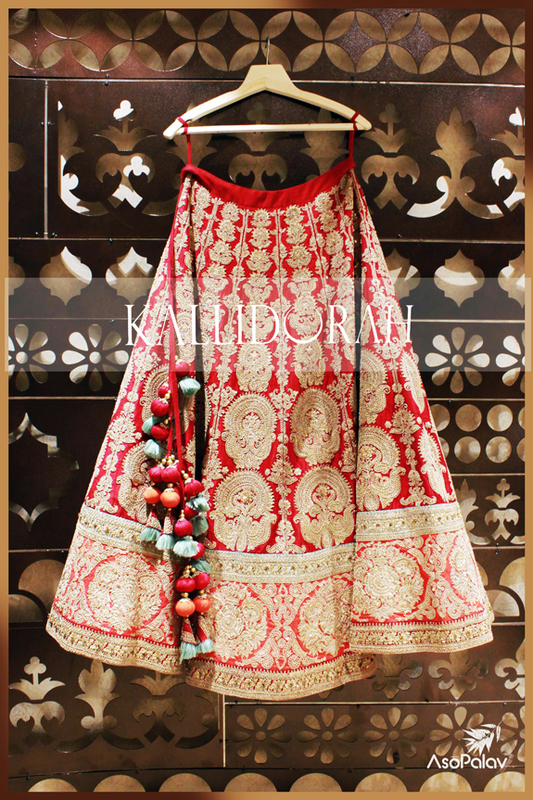 But when it comes to a wedding, most brides to be prefer to go in for traditional bridal lehengas. And why not? 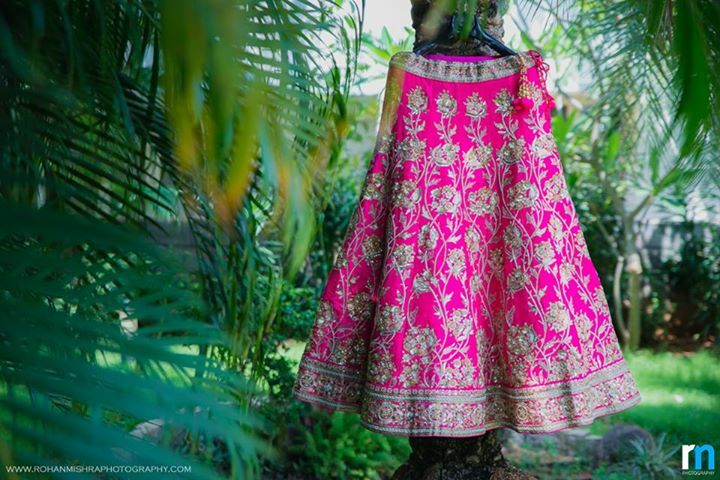 Most of us have grown up seeing our aunts and cousins wear beautiful red and pink bridal lehengas on their wedding day and it’s something a lot of us have dreamt about. So without wasting anymore time, let’s jump right into it. 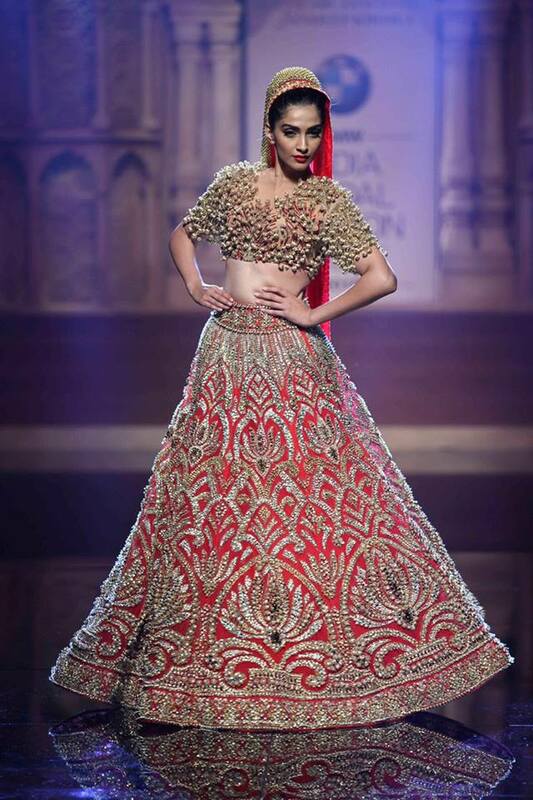 We start with this gorgeous Abu Jani and Sandeep Khosla red and gold lehenga that Sonam wore at Bridal Fashion Week. We love the cleanliness of the embroidery! It’s heavy, but the design comes across so easily! This is another one that caught our eyes. 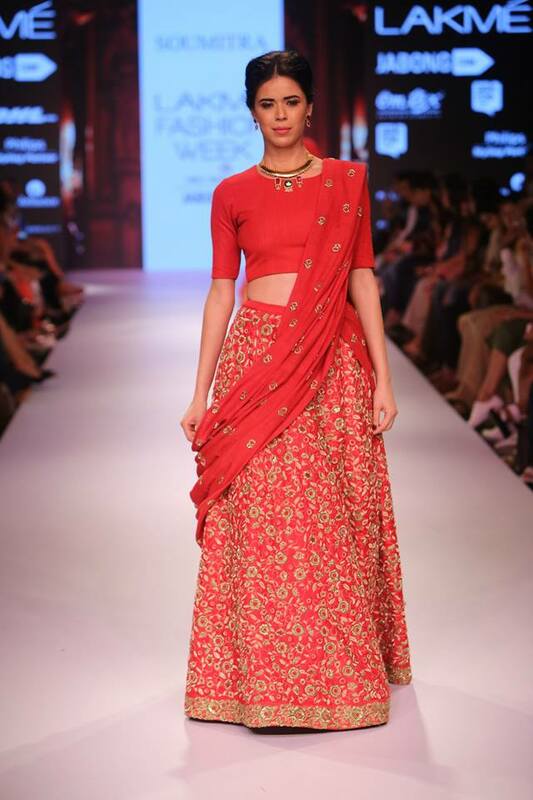 A classic, red bridal lehenga by AsoPalav. 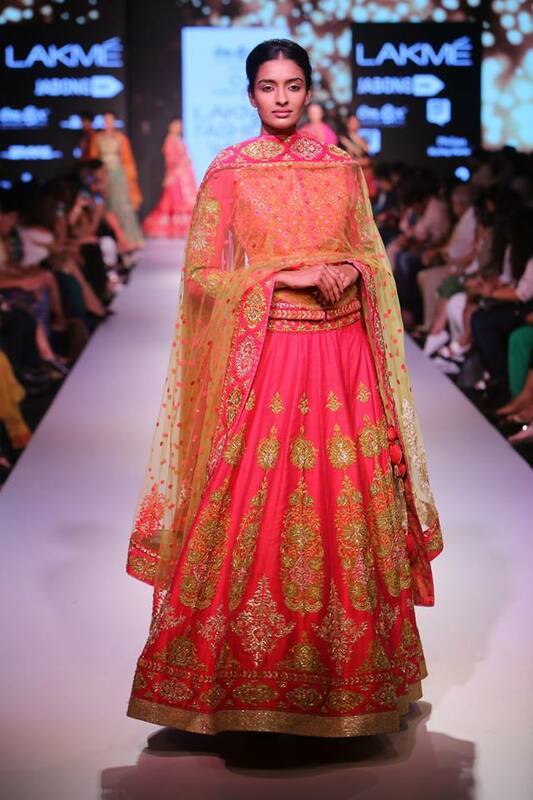 Designer Soumitraa nails the red bridal lehenga, as well as the pink one. 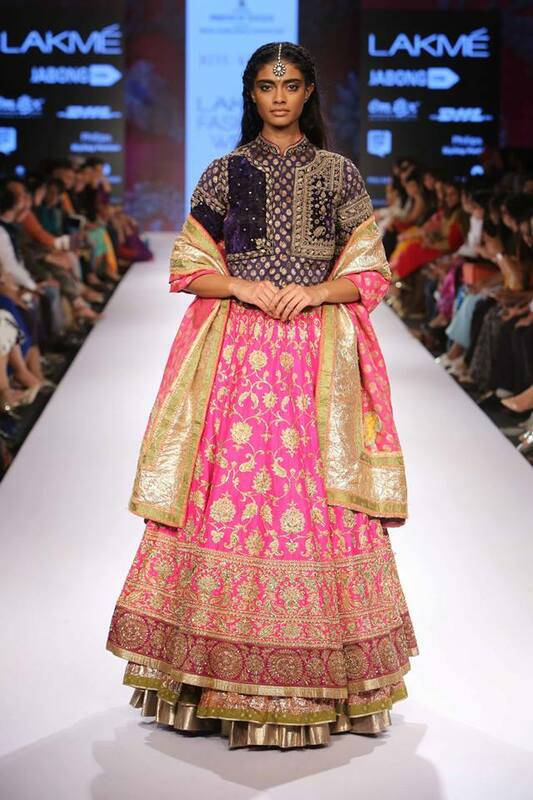 Speaking of pink lehengas, we’ve got Suneet Verma and Jyotsna Twari giving us the quintessential pink bridal lehengas. 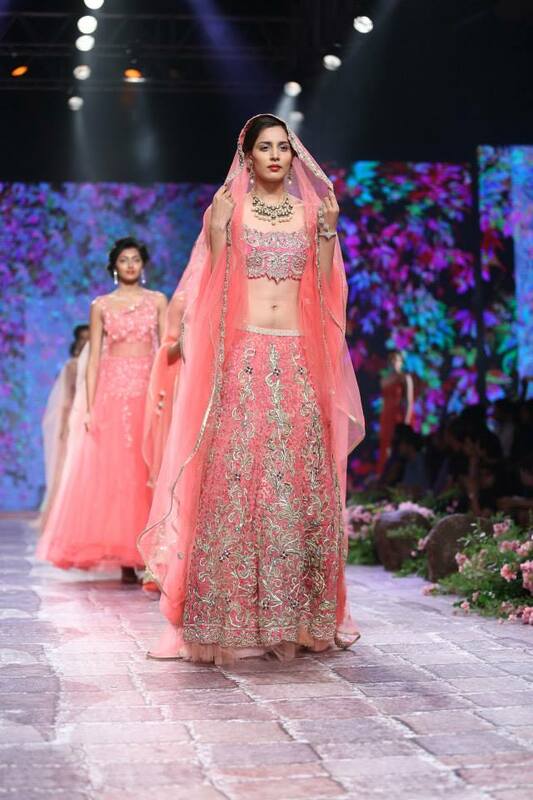 And when speaking about bridal lehengas, can we really not have Ritu Kumar and Tarun Tahiliani on the list? So brides to be, what would be your pick? This entry was tagged asopalav, bridal lehenga, fashion, indian bride, indian fashion, lehenga, pink and gold lehenga, pink and silver bridal lehenga, Pink bridal lehenga, red and gold bridal lehenga, red bridal lehenga, ritu kumar, tarun tahiliani, traditional bridal lehenga. Bookmark the permalink.